I'm Bryce Jackson. I enjoy programming, producing music, and testing the limits of technology. 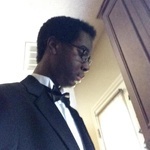 I have about 8 years experience with programming, focusing on the area of...Read moreI'm Bryce Jackson. I enjoy programming, producing music, and testing the limits of technology. I have about 8 years experience with programming, focusing on the area of web languages. My expertise lies in Wordpress plugin/theme development and full stack development, utilizing frameworks such as AngularJS and Laravel.